Dr. Jasleen Khaneja has patients in all of GTA. Patients visit her for various health issues including skin problems, constipation, obesity, urinary problems and all women's health issues. 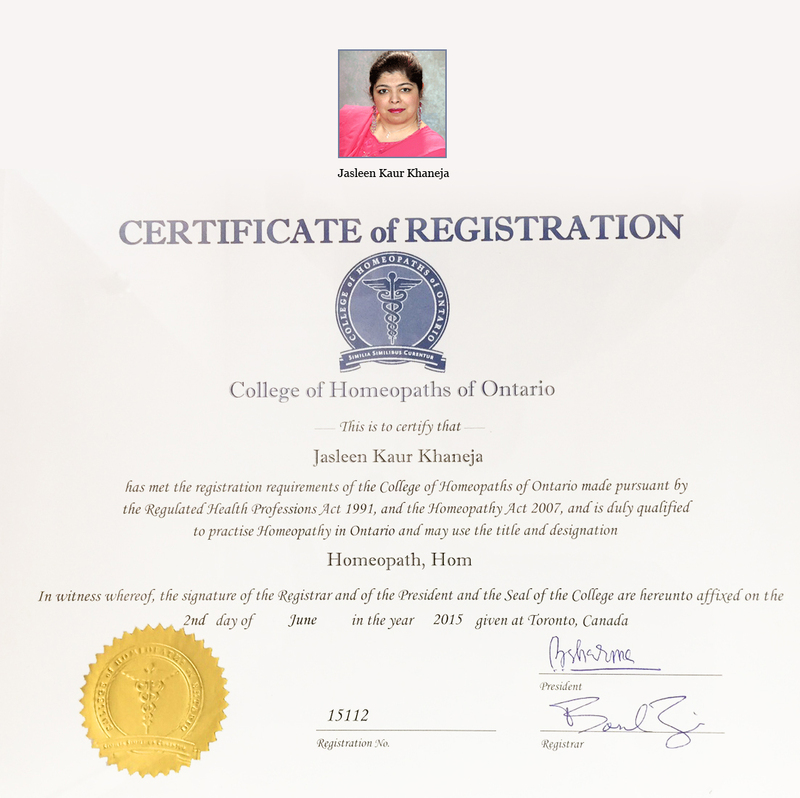 Her experience and understanding of Homeopathic medicine has made her one of the most trusted Doctors in the GTA. She has successfully treated chronic ailments and helped many patients have a better quality of life post treatment. Her immense success with difficult cases is next to none. Give Dr. Jasleen Khaneja a call today for any health condition that is affecting you or your loved one.